Finding the right music tracks for your videos is not an easy task. It not only needs to suit your company and audience, but it should also support your message. On top of that it’s not always easy to know which tracks you can use, which ones are copyrighted and how you need to credit the track. That’s why we added 10 new royalty free tracks to our Marketplace! These sounds each reflect different genres, moods and emotions. They are designed to support videos that contain a voice-over: the melodies are not too complex (but still catchy enough) so the music doesn’t overpower your message. Of course you can also use the tracks if your video doesn’t contain a voice-over! 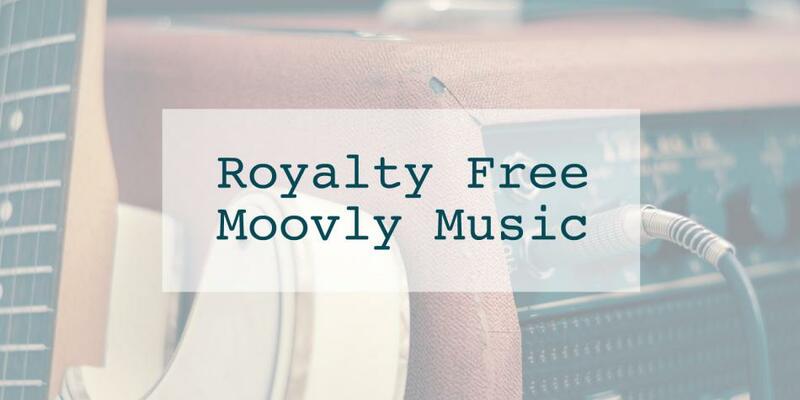 You can freely use these music tracks in your Moovly videos, no need mention any authors or a source! You’re also free to use the entire track or just a part of it. How can you add these music tracks to your account? Close the drop-down menu to view or use the purchased tracks. The Moovly music tracks can be managed and edited like all other sounds you use in Moovly: adjust their timing and volume, add animation effects to them and combine them with other sounds. Not a Moovly member yet? Sign up for free and get started on your video right away!